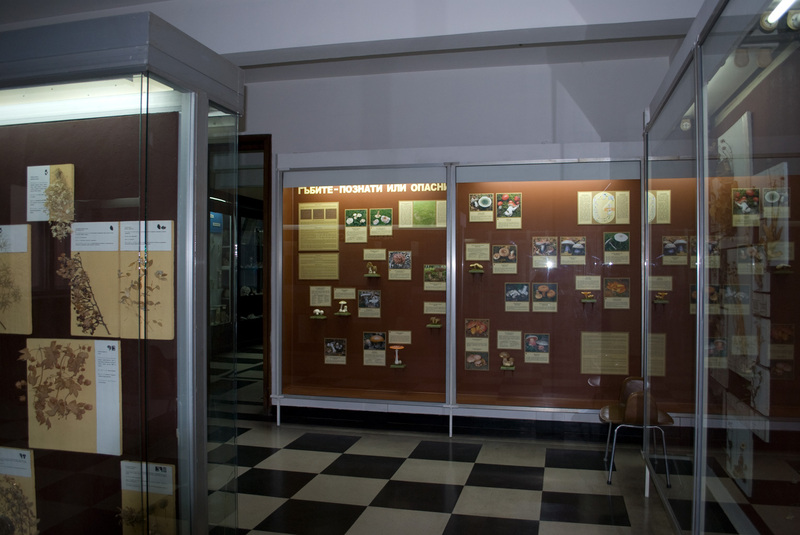 A new showcase, 'The mushrooms — familiar or dangerous,' can be seen in the exhibitions on the fourth floor at the National Museum of Natural History, Sofia. 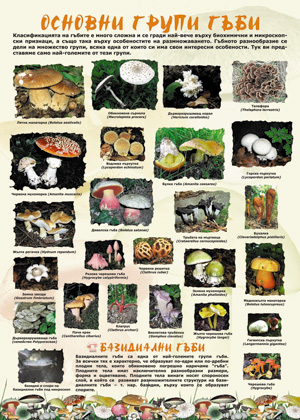 Briefly presented is kingdom Fungi — characteristics, distribution, and systematics. 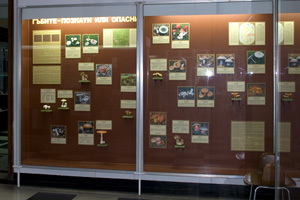 Photos and replicas show the most popular edible mushrooms and their poisonous counterparts, and how to distinguish them. The life cycle of the mushrooms is also described — from a spore to fruiting body, and how the so-called 'fairy rings' are formed. Using simple language, the role of fungi in nature is explained, as well as the necessity for their conservation.